What is a Norway Rat? These “super rats” can reach 16 inches in length. Each female rat can give birth to 20 pups in her lifetime. Some factors affecting rat populations in cities include continuously mild winters, weather-related disasters and encroachment of their habitats by new urban development. These rats have smaller eyes and ears and shorter tails. Rats are excellent climbers and often enter a home in the fall when outside food sources become scarce. 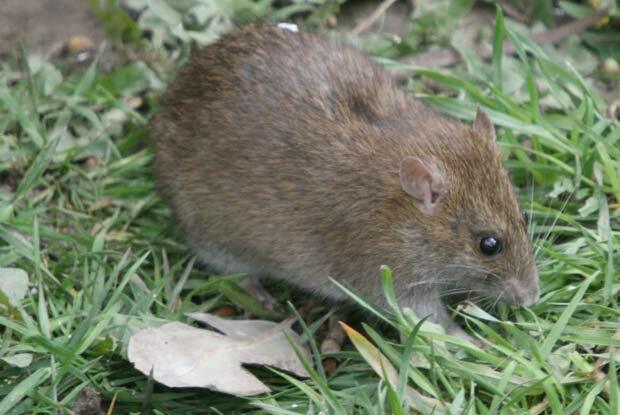 Norway rats live in fields, farmlands and in structures. Rats are often found in woodpiles. These rodents can gain entry to a home through a hole the size of a quarter. Rats can chew through wiring, causing fires. Norway rats eat and contaminate food and damage properties by gnawing and burrowing. They spread diseases that affect people and pets.